Whether you are going to have dinner date with your special someone, or just a movie night out with your other single girl friends, looking good and feeling good on this day is essential. Killer dress-check! Hair-check! 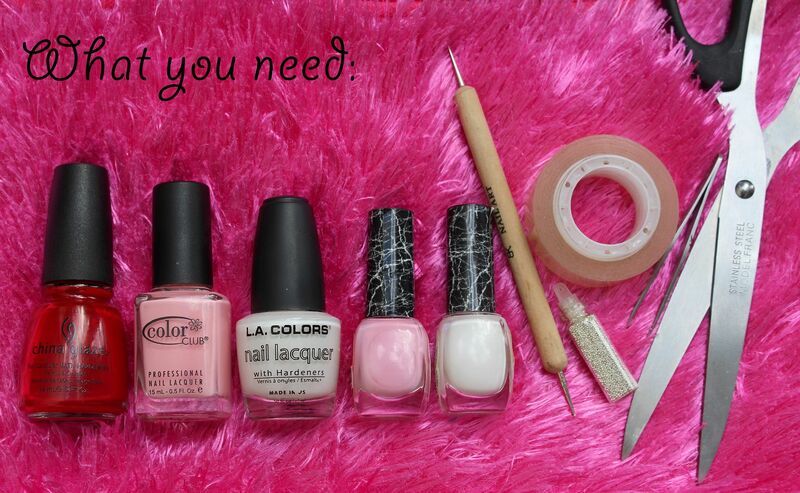 How about your nails? 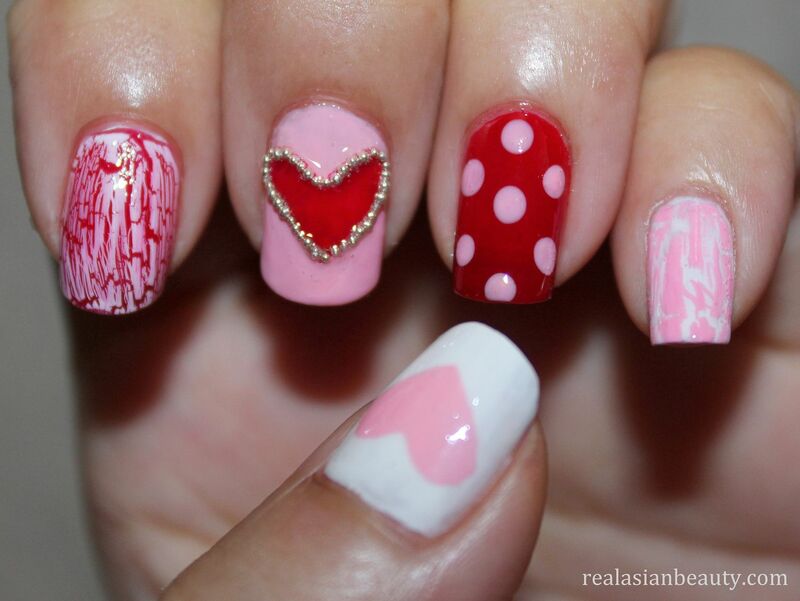 Here is a simple nail art that is perfect for the Valentine's. The Valentine colors are Red, Pink and White. So, I used all those colors to create a simple and easy design. I am also aware that not everyone has hoards of nail polishes. So I used only a couple of polishes for this design. Every shade is so easy to find so recreating the design should be very easy, too. Very easy, right? The tape technique has been around for quite some time now. 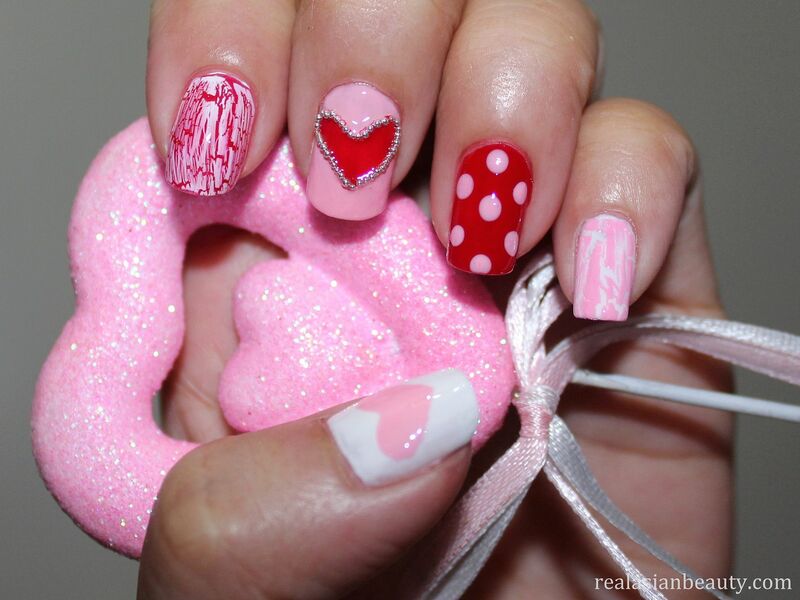 It's the perfect technique if you want to achieve perfect heart shape on your nails. The dots and crackle polish are also so easy to do. Looking good on Valentine's day doesn't mean spending too much time on your self, because really what you want to do is to spend it with someone special, BF, family, friends... So I wanted to keep each design simple and easy. 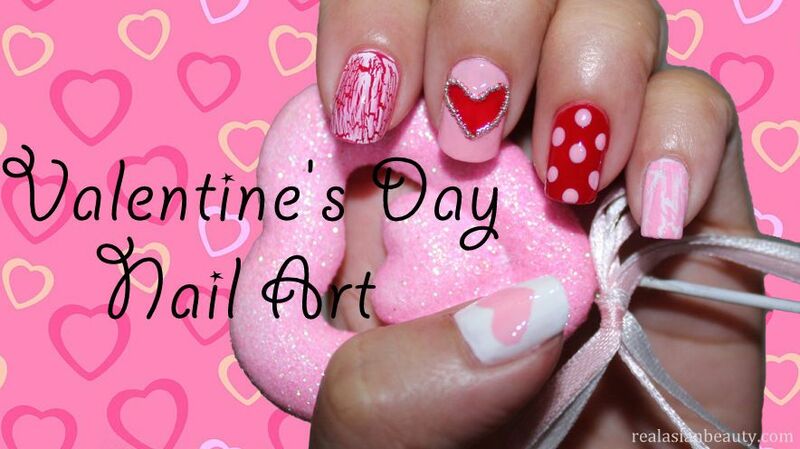 I hope you like this easy nail art design!